ROANOKE, Va. Jan. 28, 2019 — For the new year, Appalachian Power has rolled out several new programs to provide residential and business customers a chance to save money, energy and make their homes and businesses more energy efficient. Bring Your Own Thermostat (BYOT) Program. For residential customers with a qualifying smart thermostat, Appalachian Power will briefly adjust their central A/C setting by a few degrees on a limited number of peak demand periods during the summer. This helps reduce demand and stress on the electric grid while increasing service reliability. Customers will always have control of their thermostat and can change the temperature at any time. Customers who enroll in the BYOT program receive a one-time enrollment incentive of $50 and a check for up to $25 at the end of each summer season. eScore Program. A free home energy savings program, eScore gives customers a home evaluation that results in an energy efficiency score of 1–10 and provides homeowners with financial incentives to increase the energy efficiency of their homes. Homeowners can then work toward a score of 10 at their own pace, earning rebates on qualified energy efficiency upgrades and re-engaging with the program as many times as needed to achieve their home’s best possible energy performance. eScore will replace the previous Home Performance Energy Assessment Program offered by Appalachian Power. Commercial & Industrial Lighting Program. For non-residential customers in Virginia, this program implements lighting energy efficiency projects through financial incentives to offset project costs. Incentives are calculated based on $.05/kWh saved annually and are contingent on the review and acceptance of savings claims. Energy-efficient projects including LEDs, T5 lamp, high-performance T8 and control measures are eligible for the rebates, and each has its own rebate worksheet. Commercial & Industrial Standard Program. This program helps non-residential customers implement non-lighting energy efficiency projects through financial incentives to offset project costs. Incentive rates may vary by measure, are calculated based on the $.08/kWh saved annually, and are contingent on the review and acceptance of savings claims. Energy-efficient projects including variable frequency/speed drive applications, packaged terminal heat pumps, commercial refrigeration measures and air compressors measures are eligible for the rebates. Small Business Direct Install Program. Appalachian Power’s Small Business Direct Install Program will assist small businesses with no-cost energy-saving upgrades, such as LED bulbs, showerheads, faucet aerators and more, plus generous rebates and expert guidance. We also have other programs available to help you save money. 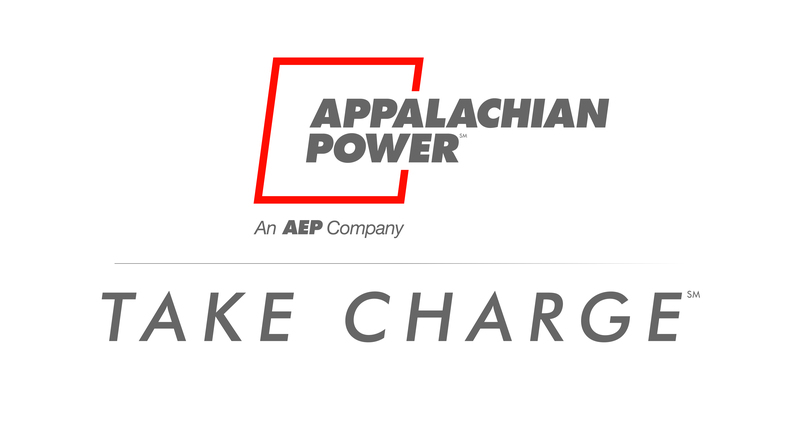 To see the wide variety of energy efficiency programs offered to you by Appalachian Power, please visit www.TakeChargeVA.com. Appalachian Power has 1 million customers in Virginia, West Virginia and Tennessee (as AEP Appalachian Power). It is a unit of American Electric Power, one of the largest electric companies in the United States. AEP is focused on building a smarter energy infrastructure and delivering new technologies and custom energy solutions to customers. AEP’s more than 18,000 employees operate and maintain the nation’s largest electricity transmission system and more than 219,000 miles of distribution lines to efficiently deliver safe, reliable power to nearly 5.4 million regulated customers in 11 states. AEP also is one of the nation’s largest electricity producers with approximately 32,000 megawatts of diverse generating capacity, including 4,340 megawatts of renewable energy.